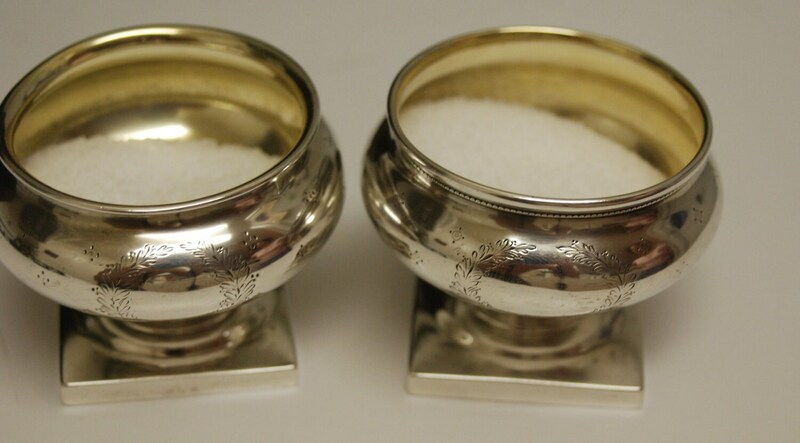 This is a fine pair of matching heavily chased sterling silver and gilt salt cellars made in Boston by silversmith Walter Richardson Goodnow and so hallmarked (capital G before turtle). Several other stamps including a retailer stamp, 200 and "STERLING". Engraved wreath and ribbon and many small quatrefoils. Condition is fine and commensurate with age. Goodnow went on to work with Barton Pickering Jenks to establish Goodnow & Jenks. Nice matched pair. Solid not weighted. I have never owned a piece of silver that rings like a bell, but these ring and hold the sound for an incredible period of time! Dimensions of base: 1 5/8" square. 2" tall. 2 1/4" across at the lip. 2 5/8" across at the widest. 126.5 grams or slightly more than 4 Troy Ounces. 1. Two creases below the lip of one salt. The larger is 5mm I'm length. It is subtle. There is exceedingly minor rippling to the metal here and a second smaller crease of about 3mm in length. Similarly, this is subtle. 2. 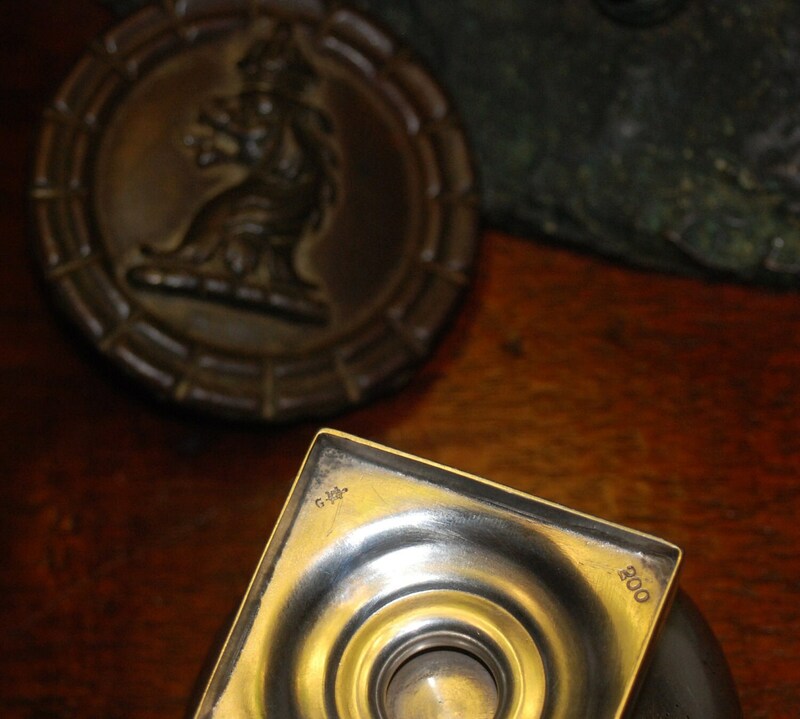 Moderate to light loss of the bright cut engraving due to normal wear/polishing. 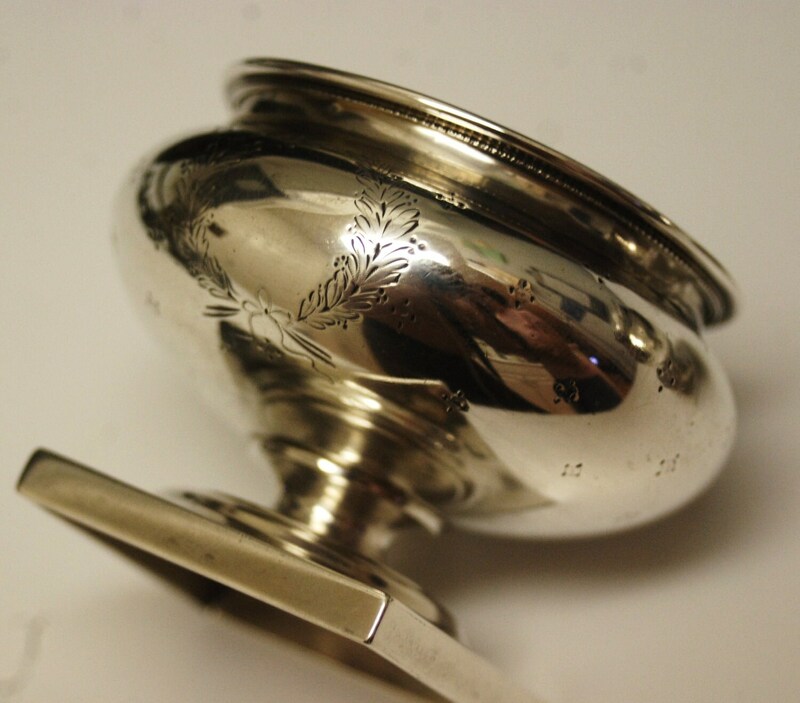 This leaves the engraving somewhat fainter than perfect. 3. Very slight difficult to detect sag to one lip. 4. Very light surface scratches as expected in silver this age. 5. 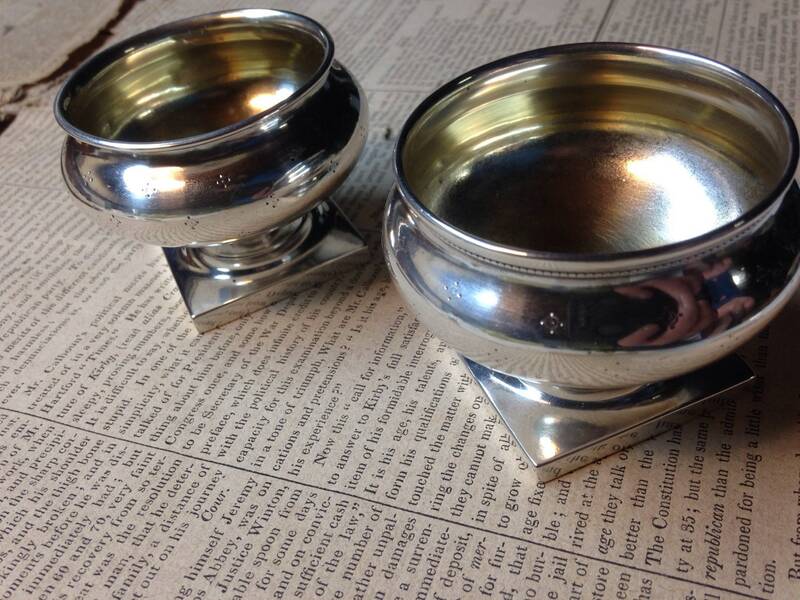 A few areas of exceedingly minor patina spots of one bowl. 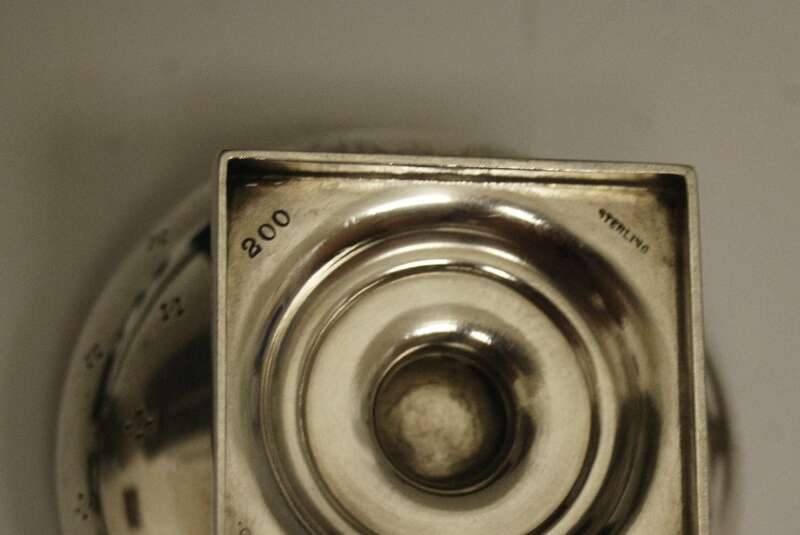 Each spot is smaller than the head of a pin and this is moderately difficult to detect at close inspection.